The Arlington Deluxe comes with upgraded, supersized, engineered uprights (legs), giving the climbing frame even more stability and strength. These engineered cedar uprights are now 8cm x 8cm and have been developed to give a lot less cracking, checking and twisting than in standard pine or spruce larger dimensional lumber. 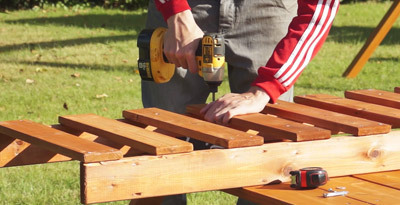 Our brand new uprights are soft to the touch, extremely strong and are free from splinters, sharp edges or deep cracks that could harm little hands. 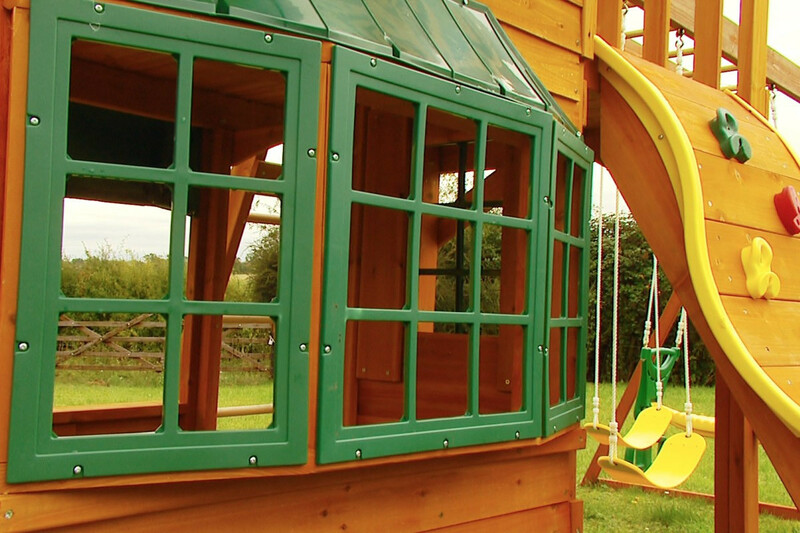 The Selwood Products brand is synonymous with safety, fun and family. 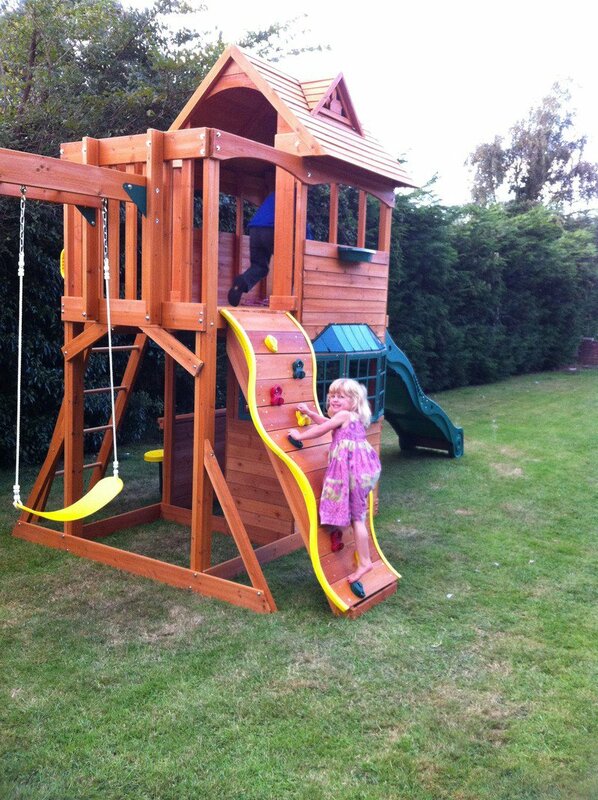 The Arlington Deluxe Climbing Frame is part of the Selwood Products Infinity Series. 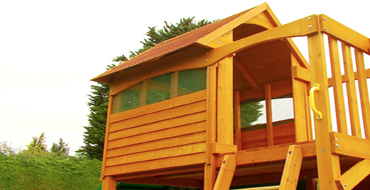 The upper play deck is 150cm off the ground and measures a spacious area of 220cm by 110cm. 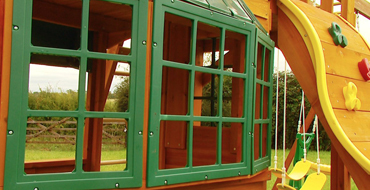 The fully functional flower box and cute dormer window, along with the fully wooden roof and sun burst detail, The upper deck features a little balcony area where your children can look out over the garden. 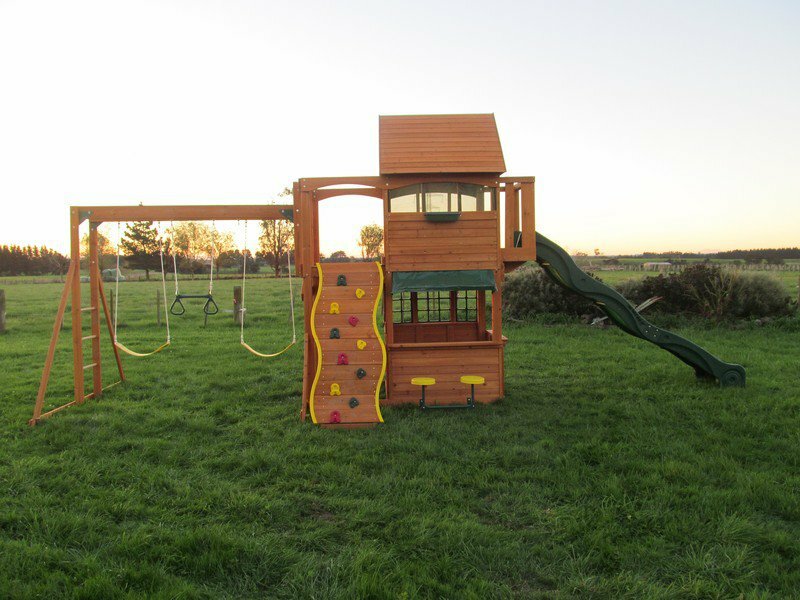 The Arlington Deluxe climbing frame maximises the swinging options available for a climbing frame with a vast array of activities. 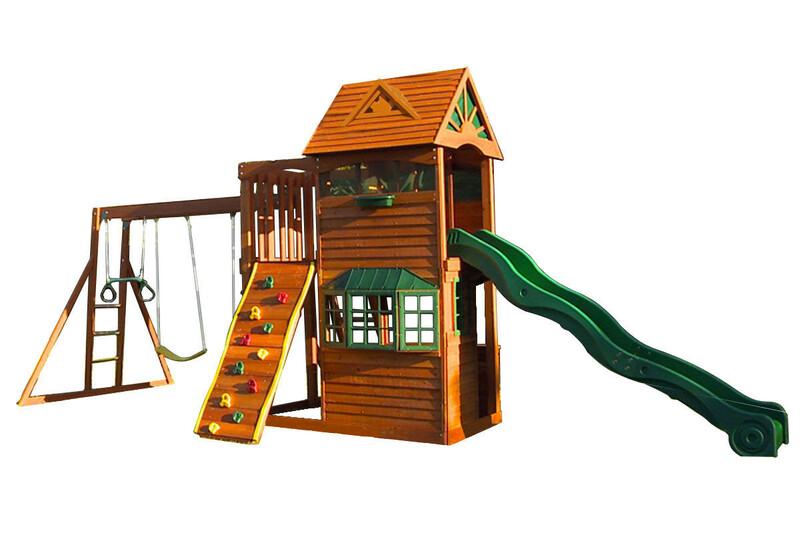 The set comes with two belt swings, a trapeze bar and all of these accessories are fixed to our monkey bar ladder swing beam. The belt swings are made from a flexible material enabling for a tight, secure but comfortable seating position when swinging. 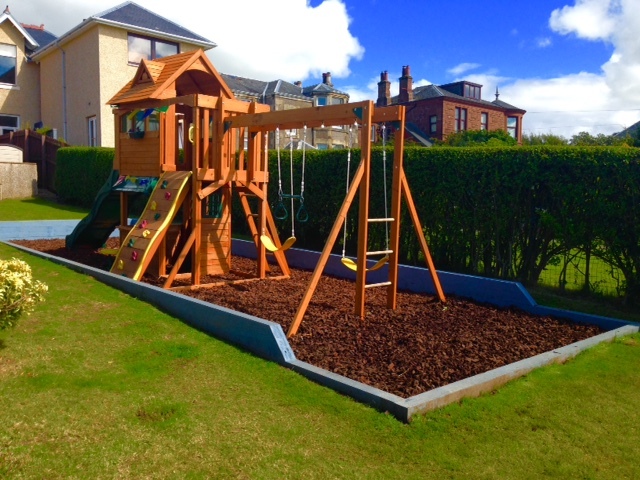 The Arlington Deluxe climbing frame features a speedy straight slide that exits from the right side of the upper fort. 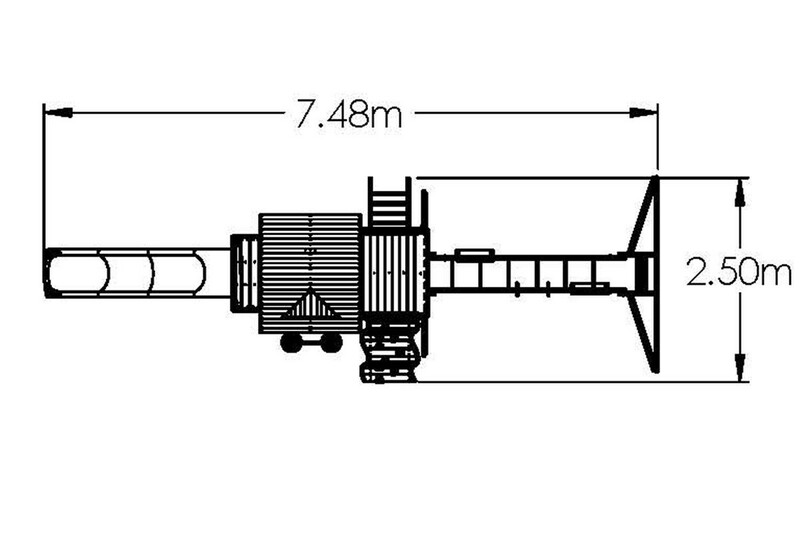 This slide provides a long and exciting journey back down to ground level. 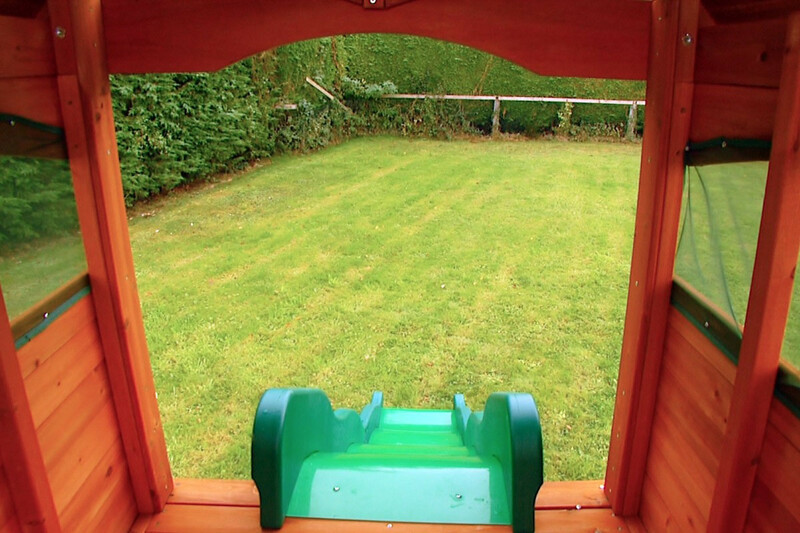 The slide has been manufactured to the be strong and secure and features raised edges to provide a comforting buffer between your child and the edge of the slide. 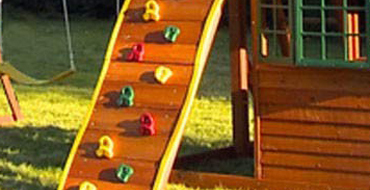 The raised edges are also great for when your child is seating themselves at the top of the slide. Once on the ground they can make the most of the multi-functional lower cubby. To the front of the frame is the attractive bay window giving it a real homely feel and to the rear is a large open window with 2 café style stools attached below. This can be used to play shops or restaurants or even for just having a snack and a rest. 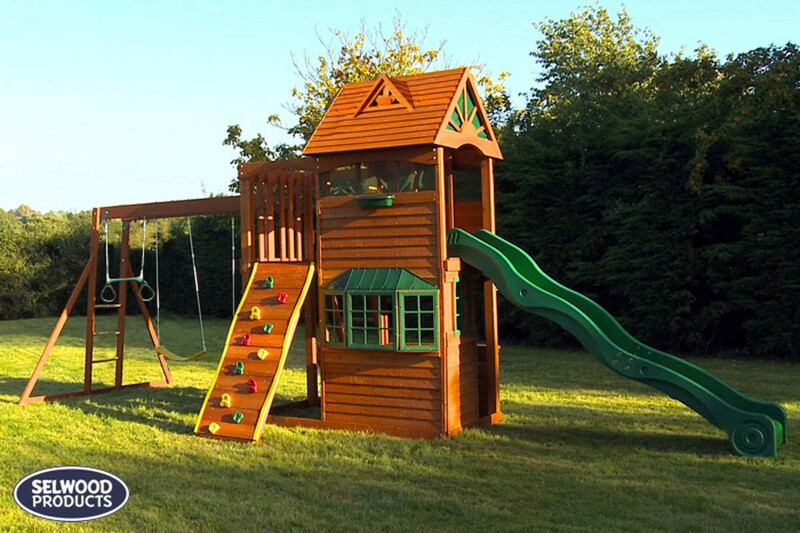 This is a fantastic climbing frame. 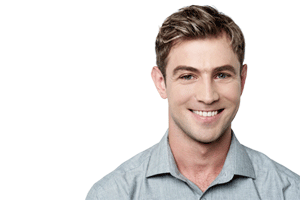 It ticks all the boxes and keeps my kids happy for hours on end. 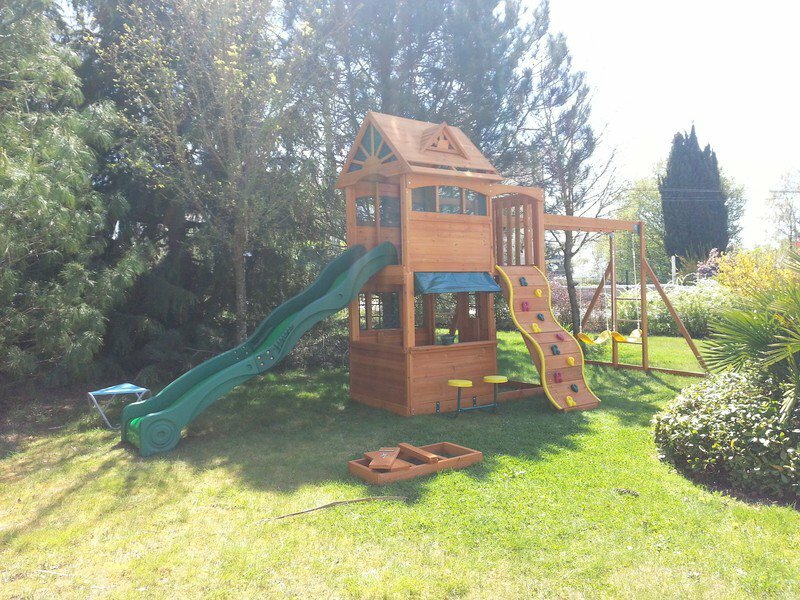 The swings and trapeze are adjustable which suit all ages. My kids are 5 & 3. 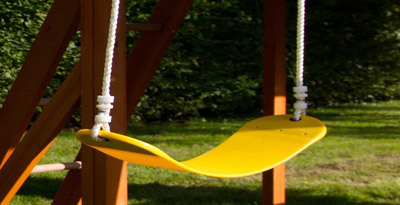 It also has the option to purchase the baby swing for younger tots. The cubby house is perfect size and my boys love building dens inside it. 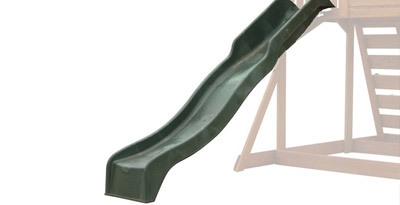 The wavy slide is great too. It looks beautiful in our garden. The instructions were easy to follow and the very intricate build took 2 adults 2 days to complete, at a slow pace. Completely worth it and a sound investment.